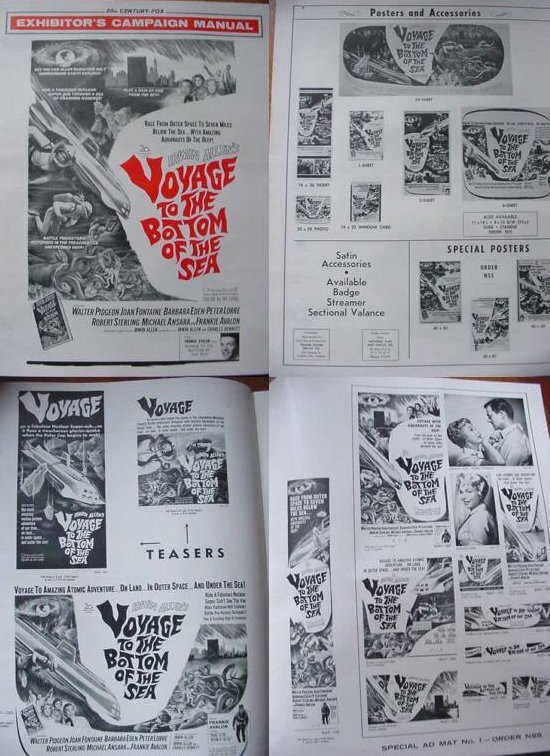 Great original press book from a classic film, Voyage to the Bottom of the Sea, starring Barbara Eden, Peter Lorre, Joan Fontaine, Frankie Avalon and more. 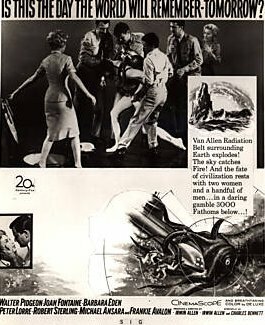 20th Century Fox Exibitors Campaign Manual, 1961 copyright. Loaded with pictures from the movie and what film posters were avaiable for the movie. 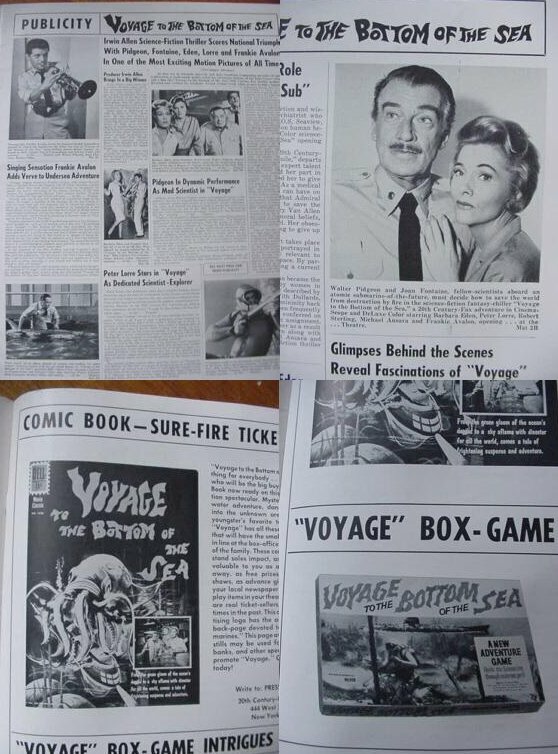 Also has advertising for the comic books, and game board during the original release. This item is in excellent condition, with no tears or stains and measures 16 1/2" x 13".